Christine and Corey’s downtown St. Pete wedding was the perfect example of classic elegance with a modern flair. The bride and groom hosted a romantic outdoor lawn ceremony overlooking Tampa Bay, complemented by a stunning white florals and manzanita branch arch backdrop. The couple continued the ocean-inspired design into their romantic ballroom reception with dramatic textured linens by Over The Top Rental Linens and rentals by A Chair Affair. 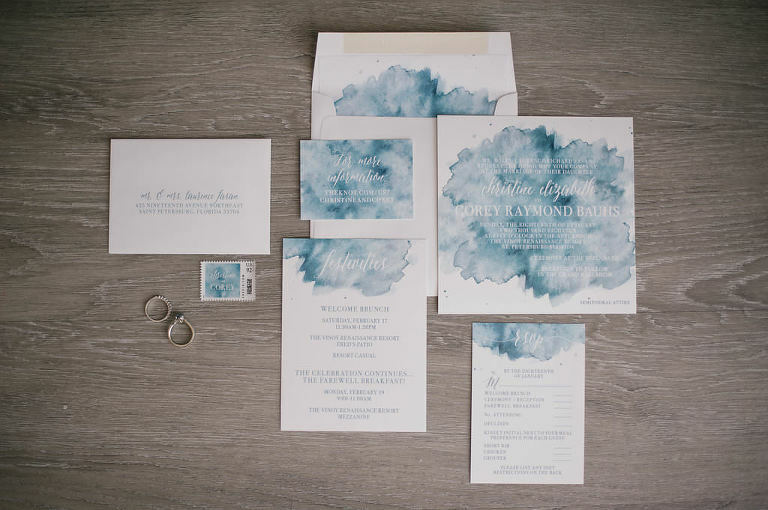 St. Pete custom stationery designer URBANcoast pulled the whole look together with beautiful coordinating blue watercolor paper goods for an added touch of whimsy. 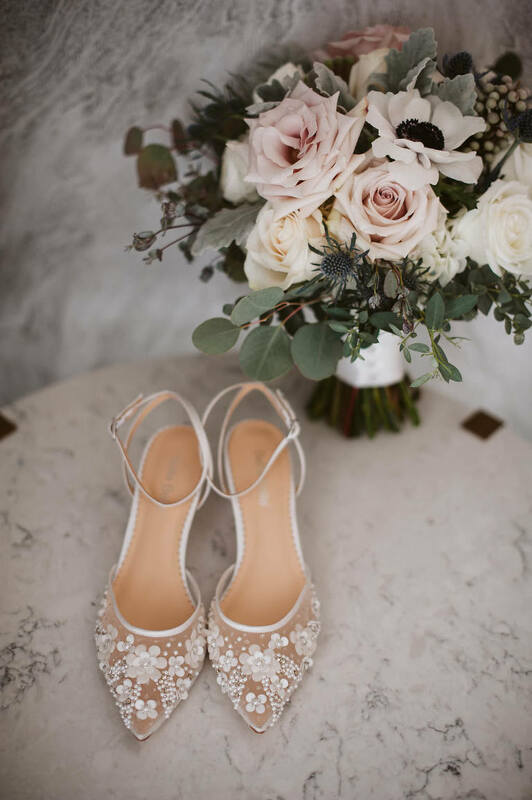 Luxury St. Petersburg wedding planner Parties A la Carte coordinated this sophisticated dusty blue, white, and blush pink waterfront, chic wedding, which featured a string quartet and live band. 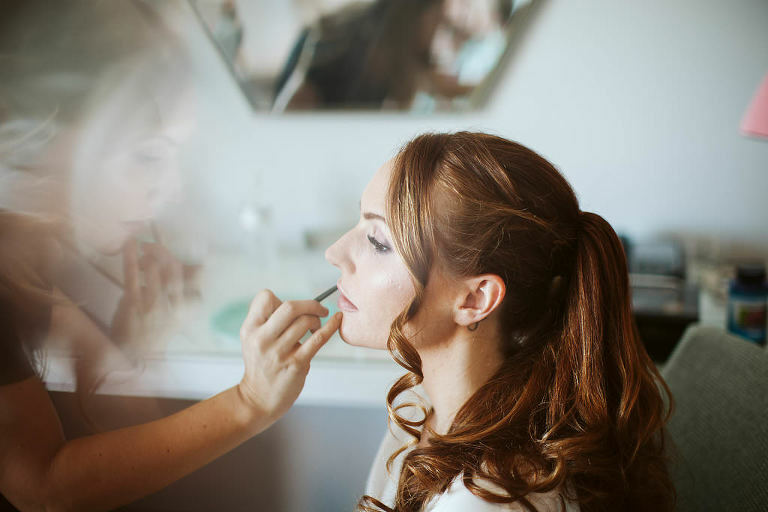 Michele Renee The Studio created Christine’s elegant bridal look with side-swept curls paired with a chapel length veil. 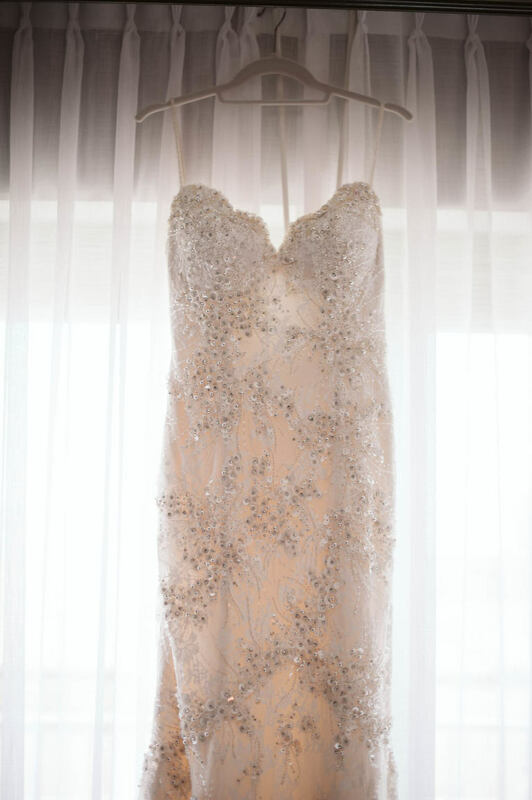 The end result was an elegant waterfront Tampa Bay wedding that is sure to inspire!